Dominion Staffing is a healthcare agency that provides staffing services to long-term care and acute care settings. The primary focus of Dominion Staffing Agency is to ensure that the quality of life is achieved through patient care and compassion. Dominion Staffing takes pride in providing quality health care, dependable services, integrity by providing outstanding customer services. 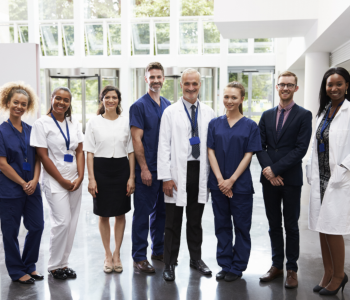 Dominion Staffing Agency can function in the role of a Part-time or full-time employment to your organization that will coordinate the care needed by our staff to enable your facility to run efficiently. Dominion Staffing Agency can adequately fill this role by utilizing a team of support healthcare professionals to deliver the quality care needed for patients to live a healthy and comfortable lifestyle. Our Agency hires individuals who meet the highest standards of character and identify with the purpose and goals of the agency. Our staff is well trained and efficient professionals with great skills, a heart of compassion and love for special people in need. They undergo criminal background checks and the necessary health screening needed to work with clients in nursing homes, assisted living, group homes or in client’s home. We ensure our employees possess the appropriate licenses, knowledge, skills, and abilities required in their fields of work. Please contact us on 240-770-0833 or send an email to Dominionstaffing2008@gmail.com to setup a meeting.